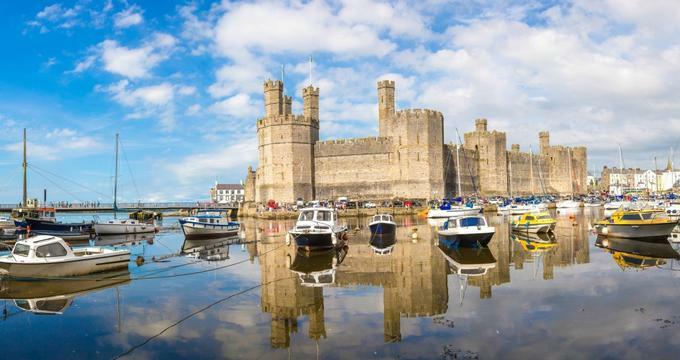 Filled with mountainous peaks and endless coastlines, Wales has a range of environments and activities that combine to comprise a memorable holiday. Visitors who are looking to relax can head to the country’s coastline, which has some of the finest stretches of beach, such as Llanddwyn Bay and Coppet Hall beach. The country’s local wildlife will ensure that visitors will come across friendly residents, such as puffins and orcas. Those who are looking for something more adventurous can head to Snowdonia National Park on one of the most iconic rail trips in the world with the Ffestiniog Railway. Beaumaris Castle is often called Britain’s most technically perfect castle due to its perfect symmetry and classic proportions. Built using limestone and sandstone between 1295 and 1330, the castle is now a UNESCO World Heritage Site. 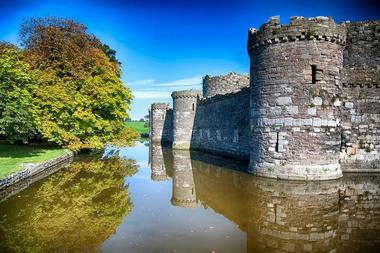 Visitors can explore the castle and the surrounding lands to truly appreciate the last work of the English monarch Edward I. Beaumaris Castle was state of the art for the late 13th century and many have compared its construction at that time to an event as hi-tech as a spaceship landing today. Visitors will be able to learn a lot about the history of the castle, which includes being taken by Welsh forces and the role it played during the English Civil War. 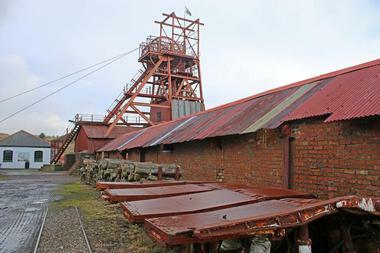 The Big Pit National Coal Museum was established in 1983 and can be found in Blaenavon, Wales. The industrial heritage museum is dedicated to preserving the Welsh heritage of coal mining and is housed on what was once an actual working coal mine for a hundred years. Visitors can get a real underground experience at the museum while also exploring the mining galleries and the machinery and tools that were used in the coal mine. There are many events held at the museum throughout the year, and visitors can partake in experiences such as the Father’s Day FEASTival or toddler story and rhyme time. Situated near the Carneddau mountain range and Conwy Valley, Bodnant Garden comprises 80 acres of terraces, shrubs, hillsides, and plants from around the world. The garden was founded in 1874 by Henry Davis Pochin and thrived under five generations of the same family. 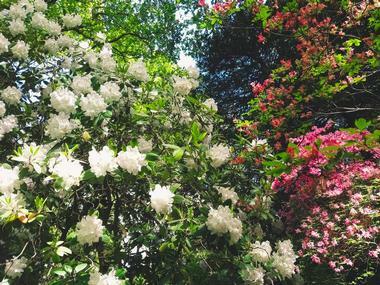 Visitors are welcome to explore the grounds throughout the year as there is something thriving no matter the season. Exotic plants such as the fire bush from the Andes and the blue poppy from the Himalayas are housed in the garden alongside national collections of magnolia and Wales’ largest collection of UK Champion Trees. The flora and fauna, along with the stunning view offered, makes Bodnant Garden one of the best attractions to spend a day enjoying nature. 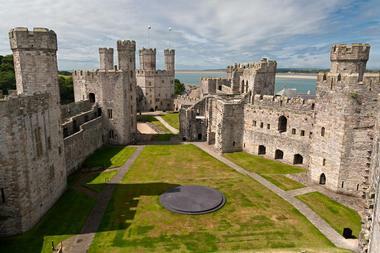 Caernarfon Castle, popularly known as Carnarvon Castle, is a medieval fortress built by Edward I of England in 1283. Visitors can explore the remaining walls and the surrounding town, which once was the administrative center of North Wales. The UNESCO World Heritage Site remains one of the most impressive castles in Wales with its polygonal towers and color-coded stone work. Visitors can attend one of the many events held at the castle throughout the year; some of these include the Hijinx Unity Art Festival and the Legend of King Arthur, where visitors can spend the day listening to historic stories and taking part in the Round Table and other Arthurian games. Caerphilly Castle was built in the 13th century and is famed for the extensive artificial lakes that surround it, the large gatehouses, and for introducing concentric castle defenses. The medieval fortification was built by the 7th Earl of Gloucester, Gilbert de Clare. 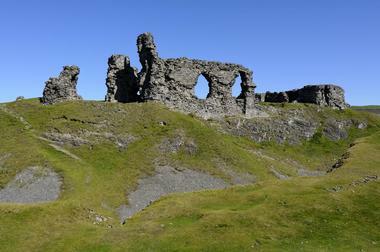 The castle holds the title of being the largest castle in Wales and the second largest in Britain. 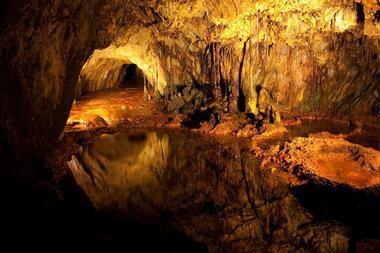 Visitors can explore the stone behemoth and take some amazing photographs of it and its watery surroundings. There are many events hosted at the castle, such as Medieval Day, when visitors of all ages can learn sword skills and archery, watch a weapons show, and participate in various other games. 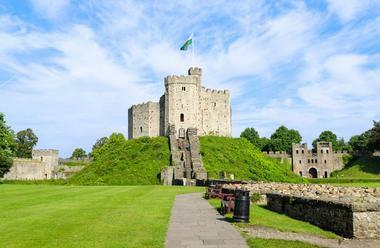 The original structure of Cardiff Castle was built in the late 11th century and holds over 2,000 years of history. The castle is one of Wales’ most popular attractions and visitors can choose from a range of tours to explore its various aspects. The 50-minute House Tour is a popular option as expert guides take visitors through some of the castle’s highly decorated rooms such as the Winter Smoking Room, Lord Bute’s Bedroom, and the Roof Top Garden. In these rooms, visitors will come across rich murals, stained glass and marble creations, elaborate wood carvings, and décor, all of which combine to tell a fairytale. From afar, Castell Coch looks very much like a castle from a fairytale; so much so that visitors almost expect a princess to look out from one of the tower windows. The castle that stands here now was funded by John Crichton-Stuart, who wanted to use Castell Coch as a summer retreat from his main residence, Cardiff Castle. Though it was intended to be used infrequently, visitors will see that not much has been spared in terms of the castle’s grandiose architecture and decor. Visitors will be able to explore the castle, learn about its history, and have a refreshing snack in the tea room. Events, such as the Festival of Archaeology, a Victorian high tea, and Halloween Nights, held throughout the year. Castell Dinas Bran, often called Crow Castle, is a 12th-century medieval castle built on the site of the Iron Age hillfort and various other prior structures. To explore the castle’s ruins, visitors must climb a summit to get to the castle grounds. There are many myths and legends associated with the castle, which visitors can learn all about during their climb. Once there, visitors will be able to see the ruins and remains of the Welsh D-Tower, the main hall, the postern gate, as well as the foundations of the north gatehouse tower. Visitors will also enjoy the panoramic views of their surroundings from the castle ruins. 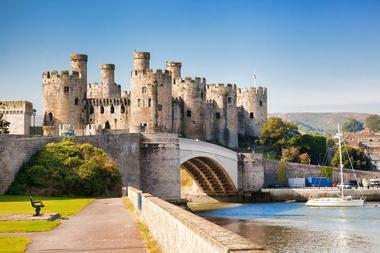 Conwy Castle was built in the 1280s as part of a bigger project to create a walled town of Conwy. The medieval fortification played an important part in several wars, including the English Civil War. Presently, the castle is listed as a UNESCO World Heritage Site and is considered to be one of the finest examples of late 13th-century military architecture in Europe. The surviving fortification is extremely well preserved and visitors can see various aspects of it, such as its high towers, curtain walls, and its distinctive elongated shape from the outside. Inside, visitors will be able to see the great hall, chambers, a royal chapel, and much more. Visitors can climb aboard the Great Orme Tramway and go on a breathtaking journey from Victoria Station to the summit of the Great Orme headland. 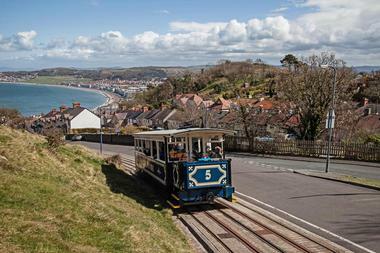 The Great Orme is Britain's only cable-hauled street tramway, while also being one of the oldest surviving trams in the whole world. There’s a halfway station for visitors to stop and discover the history of the tramway, which opened in 1902. Visitors will also be able to explore the engineering aspects of this fascinating method of transportation. Once at the summit, visitors will see some amazing views, and on clear days can see as far as Blackpool and the Isle of Man. 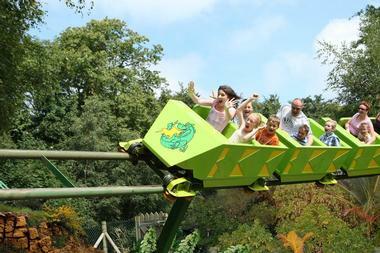 Attracting over 150,000 visitors a year, GreenWood Forest Park was ranked the 8th best theme park in the UK by TripAdvisor. The park opened in 1993, and since then has been offering families a great place to visit during the summer. GreenWood comprises adventure playgrounds that allow visitors to participate in activities such as longbow shooting and climbing the TreeTop Towers. There are a number of rides, including the “world’s first people-powered roller coaster,” which runs on the weight of the people on the ride. Visitors of all ages will love the live shows and craft areas, including everything from a magic show to woodcarving. 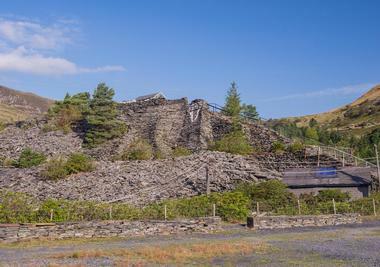 Llechwedd Slate Caverns is a popular tourist attraction housed in the Llechwedd Quarry, which at one point produced nearly 24,000 tons of slate. Though limited production still continues, the caverns are more focused on providing a site of education and fun, detailing the history of slate quarrying for its visitors. Visitors can head to the interpretive center and learn about how slate is extracted and processed. There is also a model village, which shows how miners lived as well as an abandoned section of the quarry for visitors to explore. Popular aspects of the caverns include their zip lines, mountain biking tracks, and giant underground trampolines. The National Botanic Garden of Wales is a botanical research and conservation center that attracts visitors from all over the world. 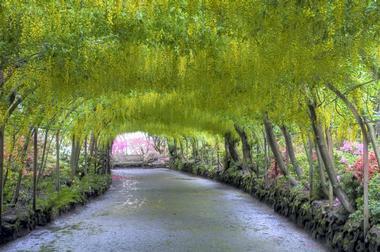 The garden’s most popular attraction houses the world’s largest single-span glasshouse. Visitors can explore the many themed gardens, play areas, and the national nature reserve. Other than the extensive variety of flora, visitors can also head to the bee garden or the butterfly house, which is home to moths and butterflies from around the world. Comprising a mosaic of streams, lakes, marsh, meadows, and formal gardens, visitors will also come across birds, frogs, grass snakes, otters, and bats. 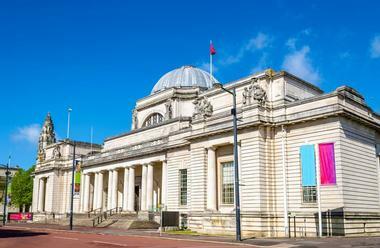 The National Museum Cardiff was established in 1912 and is a part of the wider network of the National Museum Wales. The museum and art gallery has collections of fine and applied art, botany, archaeology, zoology, and geology. The museum’s Clore Discovery Center lets visitors get hands-on with over seven million items from the museum’s collection such as fossils, insects, and Bronze Age weapons. The Museum of Art is home to some wondrous pieces, and visitors will be able to see works by Amico Aspertini, Jan van de Capelle, and Salvator Rosa. Temporary exhibits such as Agatha Christie: A life in Photographs, Behind the Scenes in the Archaeological Conservation Lab, and Dinosaur Babies are held throughout the year. The National Roman Legion Museum can be found in the center of Roman Isca in Newport, Wales. The museum takes visitors back in time to explore the ways of the mighty Roman Empire. There are exhibitions focused on artifacts, sculptures, art, jewelry, armor, and much more. Visitors will be able to try on armor and go into reconstructed barracks to see how Roman soldiers lived. The museum is housed in one of only three permanent fortresses in Roman Britain; this allows visitors to also see sections of the fortress walls, a part of a military bath house, and the most complete Roman amphitheater in Britain. Pembroke Castle was the original seat of the Earldom of Pembroke. 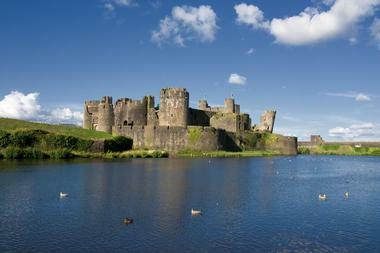 The medieval castle was first built in 1093 by Arnulf of Montgomery, an Anglo-Norman magnate. 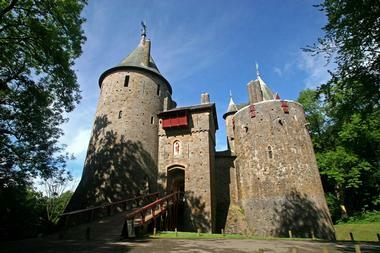 The castle, which is the largest privately owned castle in Wales, is open to the public. 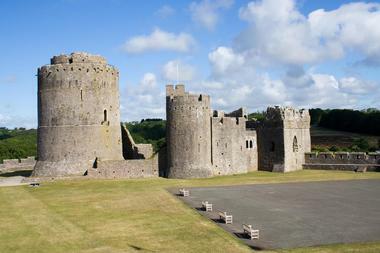 Visitors can explore the many exhibitions, which bring the castle’s history to life; some of these include a 1,000 m2 map of Wales, replica models of how Pembroke Castle looked throughout the years, a medieval banquet, and a depiction of a Civil War battle. Throughout the castle, visitors will see sculptures, mural paintings, and graphic panels, which depict important aspects of the castle’s history. Plas Mawr, often called the Great Hall, is an Elizabethan townhouse that dates back to the 16th century. 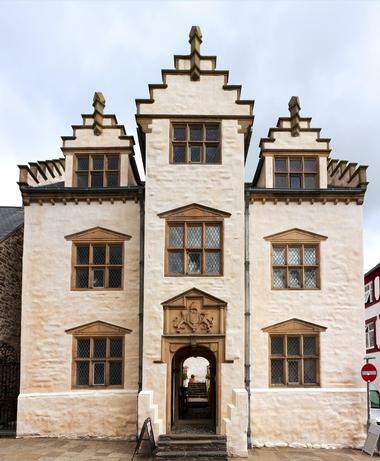 Starting out as the residence of Robert Gwyn, a member of the Welsh gentry, Plas Mawr has also been a school, a low-budget lodging, and the headquarters of the Royal Cambrian Academy of Art. Now, visitors can head to the restored and renovated property and explore its unique architecture and decor; the rooms have been redecorated to resemble how it would have looked in its early days. There are multi-sensory displays, which take visitors on a journey as they explore this architectural symbol of the Elizabethan era. 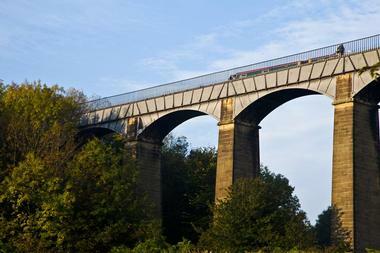 The Pontcysyllte Aqueduct is the oldest and longest aqueduct in Great Britain, and the highest aqueduct in the world. The navigable aqueduct is an 18-arched cast iron and stone structure that carries the Llangollen Canal across the River Dee. Visitors can cross the UNESCO World Heritage Site on a canal boat, getting up close with the beautiful structure. Visitors are also able to walk the 336-yard-long structure, which rises 126 feet above the ground. No matter how they decide to cross it, one thing for sure is that visitors will come across some stunning views of their surroundings. The Snowdon Mountain Railway (SMR) is a 4.7-mile-long tourist railway track that transports visitors from Llanberis to the summit of the highest peak in Wales, Snowdon. SMR has been in operation for over a hundred years and is the only rack and pinion railway in the UK. The railway is closed from November to mid-March, but the rest of the year, visitors can explore the historic “rooftop of Wales”. 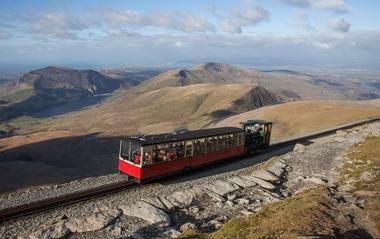 The picturesque sites that visitors will see during their ride make for one of the most memorable experiences during a vacation to Wales, and the journey is often considered one of the most unique railway journeys in the world. A part of the National Museum Wales, St Fagans National Museum of History gives visitors a detailed look on the culture, architecture, and historic lifestyle of the Welsh people. The open-air museum was established in 1948 and now comprises over 40 re-erected buildings that were bought in from various locations. It now sits on the grounds of St Fagans Castle and is often considered the UK’s favorite visitor attraction. Visitors can see Bryn Eryr and an array of household items from World War I, amongst other things. There are various events held at the museum throughout the year, including the Rhondda Rose Society Show and Bat Walks. The Sygun Copper Mine has been a popular family tourist attraction since 1986. The Victorian copper mine had been in use for many years before it closed in 1903. Now, visitors can get up close and personal with the stunning underground mine and using the many available audio-visual tours. Found in the heart of Snowdonia National Park, visitors will not only see the stunning mines and learn about Wales’ industrial heritage, they can also participate in activities such as panning for gold and metal detecting for coins. Sygun is also home to a museum of antiquities, an art gallery with a collection of antique and 20th century art, and the Red Dragon Heritage Centre, which focuses on Welsh mythology and history. Housing the best of British marine life under one roof, the Anglesey Sea Zoo is a fun and educational attraction that the entire family will enjoy. 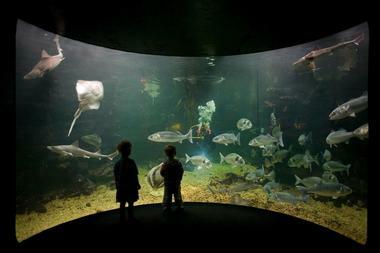 It is one of the largest aquariums in Wales and has over 150 native species from the UK coasts. Visitors won’t find sharks and sea turtles like they usually do at aquariums; instead, at Anglesey, they will come across lobsters, octopus, and small British catsharks. The sea zoo is also popular for their rare exhibit of British spiny seahorses, moon jellyfish, and conger eels. Additional facilities at Anglesey include a playground, a mini golf course, a cafe, and a shop filled with toys, books, and local foods. The longest established science center in the United Kingdom, Techniquest was found in 1986 by Cardiff University Professor John Beetlestone and his colleagues. The center’s mission is to embed science in Welsh culture through fun and interactive engagement in various forms. There is so much to see and do at Techniquest, such as playing in the hands-on open exhibition, discovering the stories of mythical creatures, exploring the night sky, and celebrating Tim Peake’s mission to the International Space Station. There’s a lot to see and do for visitors with toddlers as well; there’s even one day a month dedicated to solely focus on activities that are toddler-friendly. 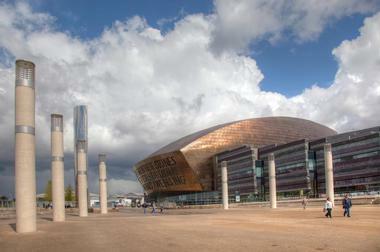 Sitting on nearly 5 acres of land, the Wales Millennium Centre is an arts center dedicated to performing arts and engaging the community with Welsh history, creativity, and talent. 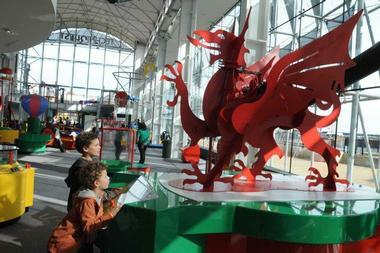 One of UK’s top cultural attractions, the Welsh landmark has had over 15 million visitors since it opened in 2004. Events are held all year round and range from shows and performances to concert tours, exhibitions, workshops, and talks, some of which are free to attend. There are tours available to take visitors behind the scenes of the iconic building and into the dressing rooms of stars. There are also tours dedicated solely to the building’s fascinating architecture. Having opened in 1963, the Welsh Mountain Zoo has over 37 acres of zoological gardens that are home to a range of animals. Visitors of all ages will have fun exploring the various enclosures, such as Jungle Adventureland, European Otter, Chimpanzee World, the Children’s Farm, Bear Falls, and Sea Lion Rock. 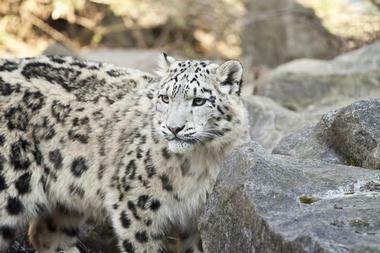 Visitors can get extremely close to the animals, playing with the animals, feeding them, and taking a few photographs. Visitors are even able to volunteer and be a zookeeper for a day, experiencing everything it takes to take care of the animals behind the scenes.